When it comes to the industry leader, there’s no mixup – it’s Crown Construction Equipment. 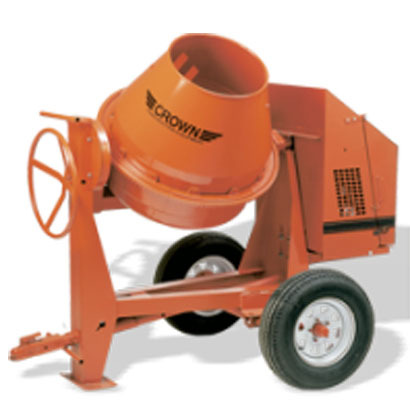 Whether you’re looking for a large capacity series, a smaller more compact model, or the right rental machine Crown’s solid line-up of concrete mixers offer all the solutions. Our standard features are a guide to the industry. Features that make for efficient set-up, operation, and as importantly, safe transportation to and from the job site. Crown, the right mix of product and price mean solid results. 1 - 1 1/2 9 70"/63.5" 51.5" B78 x 13 78"/98" 860 Yes 19" 32" 31"